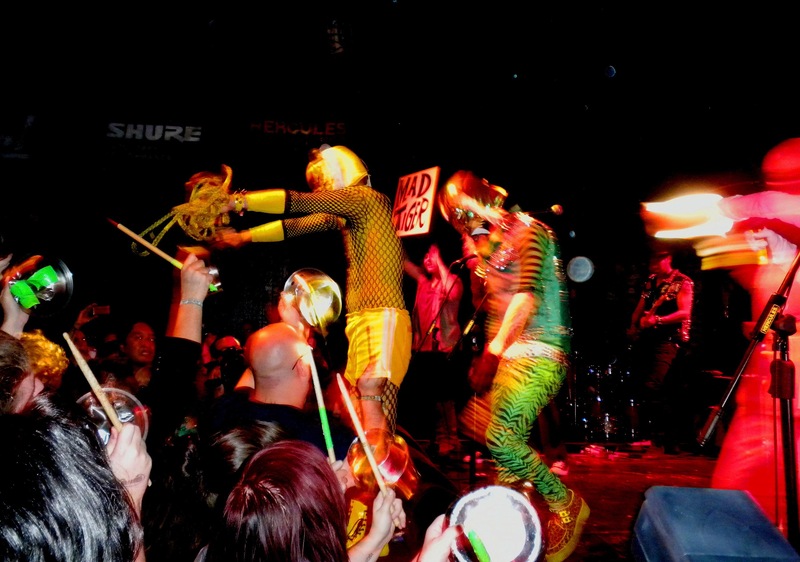 In what may be a mindbender on an unsuspecting audience, Peelander-Z from Japan unleashed the craziest show to ever roll into Exit/In if not the Next Big Nashville 2010 Conference. Equal parts Aquabats Super Heroes and Flaming Lips larger than life costume changes, they made their entrance marching like 80’s band Toy Dolls with Peelander Yellow acting as ringmaster for all the kids on the playground. I was forewarned if not recommended by Kyle Bowen of Modoc when I asked what band to check out this year. He said you got to check out Give Me Smile from Japan. I looked through the scheduled appearances and had no idea what he was talking about. On Friday night while exiting Third Man Records after the Heavy Cream set I ran into these two Japanese Guys in Yellow and Red and asked if they had heard of Give Me Smile. They just smiled exclaiming “oh! Oh!” and handed me a CD with what looked like a band named Peelander-Z? I threw it in the car and was met with a barrage of The Banana Splits meets Motorhead. This was a Japanese band not even trying to fake their way through the English language, they were downright mangling words like “Ugly”. I almost had to pull over from laughing to tears while driving my car. Finally, the words come on “Welcome to our show, next time bring Mom and Dad…give me smile, give me smile, give me smile”. Oh man, it’s the “Give me Smile” guys. Okay I had to check this one out. Luckily enough it was at Exit/In where I wanted to go check out Cheer up Charlie Daniels and Heypenny already. No one could have prepared you for this band live. 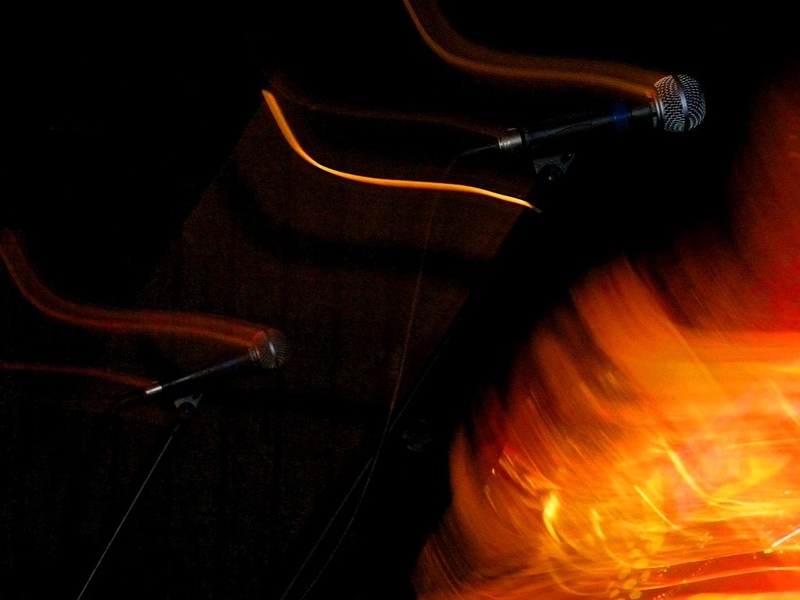 It was tight Motorhead speed with twists and turns that occasionally stopped for audience participation in bowling games or a bunny hop style line of follow the leader behind bassist Peelander Red. Dressed in primary colors of Red, Yellow and Green on drums, they took as much from The Ramones as the Aquabats. If Peelander Yellow was the ringmaster who was equal parts Lemmy and Pat Morita from Karate Kid, Peelander Red was the instigator jumping into the audience at random, a flying Ninja jumping off a full Ampeg SVT cabinet up at least 10 feet in the air before landing onstage. We were encouraged to sing along to unforgettable classics like “E-I-O” and “Medium Rare “with the crowd yelling like a frenzied table at Benihanas before taking all of us back to that response to “Rock and Roll High School”, with “Ninja High School”. 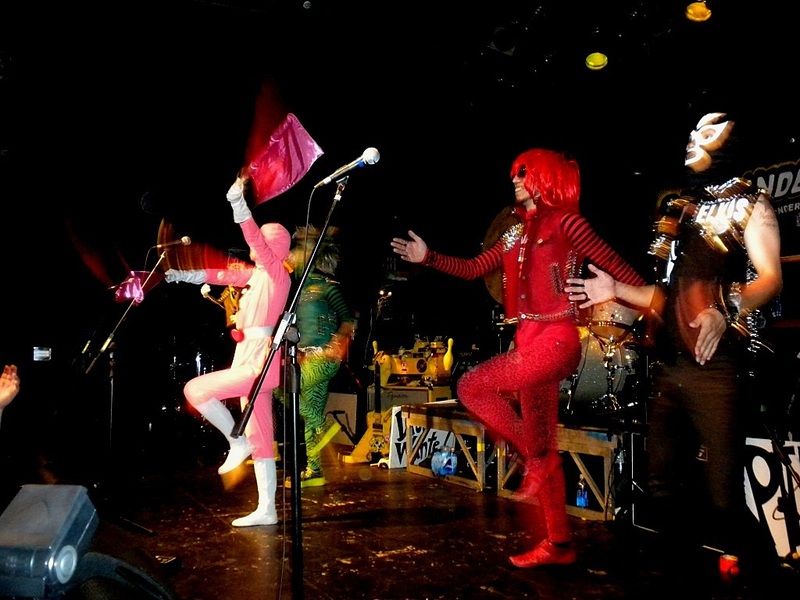 Nashvillians were in a frenzy beating on what looked like hubcaps passed out by a magical Peelander Pink who would appear out of nowhere sometimes onstage or in the rafters. 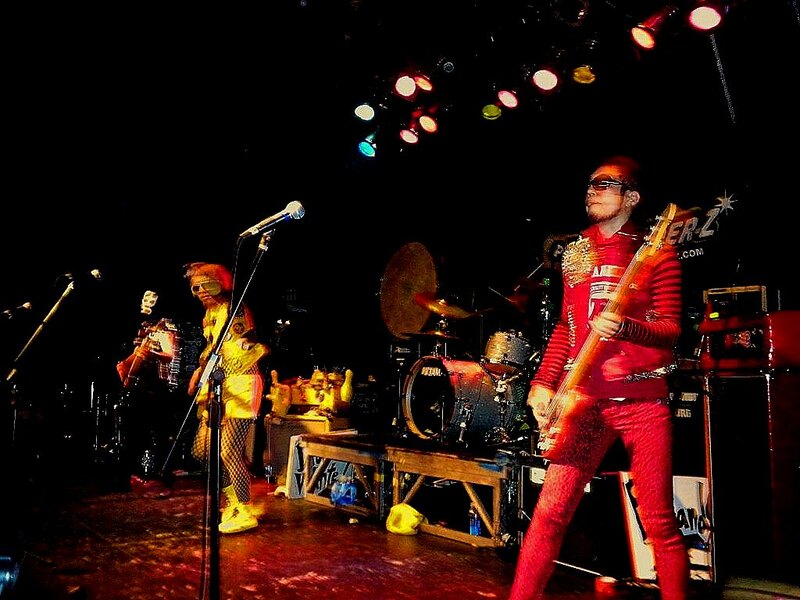 Peelander Black added a little lead guitar and mysterious vibe to the mix. Peelander-Z would at a moment throw on bigger than life bowling pin outfits or Mad Tiger headgear for very special songs about Mad Tiger and Bowling. One guy jumped on stage and thought he was going to just groove with the band when they all stopped and stared at him. Peelander Yellow kissed him on the cheek and he quietly faked a stage dive off the front sans music. That had everybody laughing. At the end, they pulled people up and replaced the entire band with audience members on drums, guitar and bass while they were in the audience skipping rope or whatever. They finally worked back up on stage and finished out the last song. If somebody was trying to find something serious about this stuff they came to the wrong set. This was all about a good time and to me was the high point of the Conference. There will be plenty of time for more structured thoughtful music but for now it was “Schoolhouse Rock” singing about steak and watching Superhero Japanese Anime in primary colors run amuck. Even Lucas who was in town from Denver to see Widespread Panic at the Ryman said “I have to admit that was the first time I ever saw a full on Redneck moshing!” Peelander-Z wore out the audience with full participation! This was a primary color and primary rock and roll extravaganza!